Real Options have many applications. Any activity that involves making commitments can be studied using the lens of Real Options. One of my guilty pleasures is to play Tetris. It is a game full of commitments and options. It is a useful tool to study real options. There are two strategies I use to get a high score in Tetris. The first is “Get a Tetris”. The second is “to stay alive”. 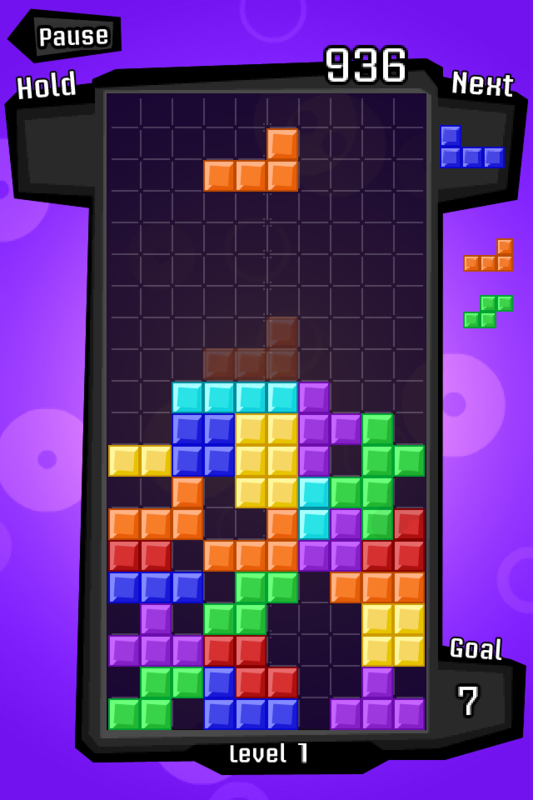 At the start of the game when the blocks fall slowly, I attempt to get a Tetris. That is where you guide a long thin block into a long thin gap and complete four rows in one go. 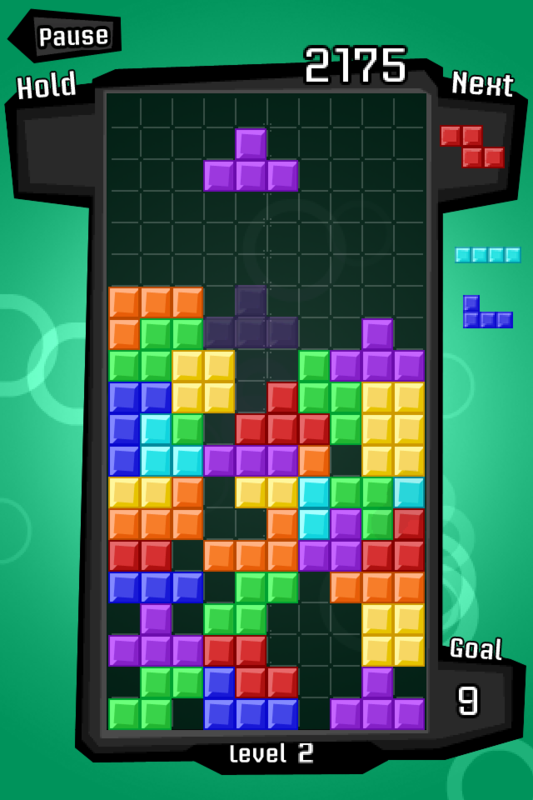 Achieving a Tetris optimises your score for clearing four lines. As the blocks are moving slowly it is fairly easy to carefully chose the optimal place for each block. The success of this approach depends partly on the order in which the shaped blocks arrive. One consequence of “Get a Tetris” is that you get high tower of blocks. These are easy to cope with when the blocks move slowly, but they cause trouble when the blocks start to move fast. 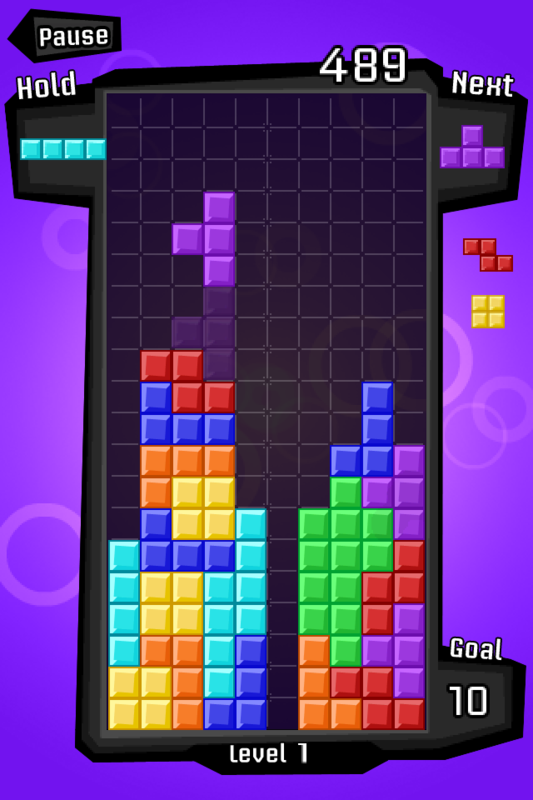 “Get a Tetris” is not really that interesting from a Real option perspective. At some point (about 250k) in the game of Tetris that I play (on the iphone) the speed of the falling blocks increases to the point where they appear to teleport from the top of the screen to the bottom of the screen. “to stay alive” requires a different approach to getting a high score. Obviously the “Get a Tetris” strategy needs to be dropped. (See later). Now the only thing that matters is “to stay alive”. We need to carefully manage our options and commitments. This is where real options really kick in. There are two key capabilities in my version of Tetris. One is the ability to spin the block after it has landed. The other is the ability to move a block left or right after it has landed. However it is only possible to move a block in a direction on the same level or down a level. The option to move a block does not exist if it requires moving upwards. “to stay alive” uses these two abilities. The ability to spin blocks is used to give more time to consider the target location for the next block. The block is then positioned according to where the next blocks should be placed. …Though only towards the edges. If you move the block one way and then discover you have made a mistake, you will find this shape has committed you to the move you made. The ideal shape is flat so that you can change your mind after moving the block and move it back in the opposite direction. In other words, the shape determines the number of options that we have and more options make it easier to play. The towers that “Get a tetris” can create make it harder to survive. So what does this really tell us about Real Options? I think it tells us that I need to stop thinking about Real Options so much. This entry was posted on Friday, December 30th, 2011 at 2:14 pm	and tagged with real options and posted in Uncategorized. You can follow any responses to this entry through the RSS 2.0 feed.